The surface of the article is totally covered with the stainless steel.We use the steel shelf as the inside support of the whole figure to ensure the stability of the whole artwork.It can stand 10 category wind in our tests. To meet different demands for the different enviroments and the limit of the space,we also provide service of the different size---any size is available as you need. The appearance of the sculpture comes out after a series of process and all finished by hand from the start to the end. Three main setups can be divided from the angles of producing technology.First we expand the 2-dimension original picture into the 3-dimension for the workers to have a sufficient knowledge how to shape the image lively.Then the picture comes to the hands of our sculptors and we step into the most important course.The stage includes the inner supporting framework construction and the outside shaping.At last tne surface of the sculpture should be improved by all sorts of methods as handling the clue of welding,polishing the surface,plating the skin,getting the surface painted.These are all up to clients' request. All of your suggestion will be greatly appreciated.It is our motive to keep improving the service and try to do the best. NOTE:This picture is only for you to refer to,so you can get a general idea of our goods.All the demands to manufacture sculpture according to certain image from pictures are warmly welcome.If you have any problem to materialize your mind,we also have most experienced technicians waiting to serve you. 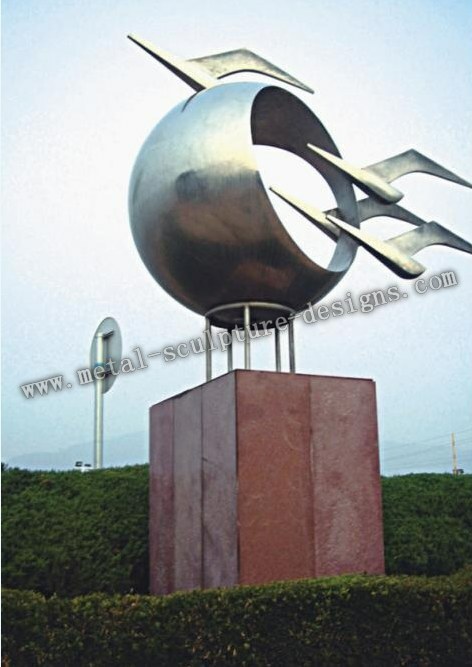 Looking for ideal Stainless Steel Sculpture Desi Manufacturer & supplier ? We have a wide selection at great prices to help you get creative. All the Stainless Steel Sculpture are quality guaranteed. We are China Origin Factory of Stainless Steel Sculpture Desi. If you have any question, please feel free to contact us.